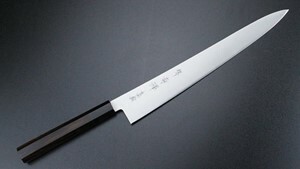 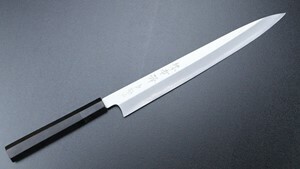 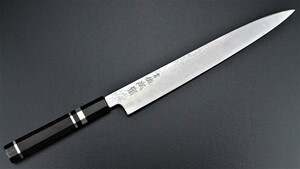 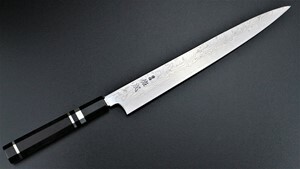 The Sujihikiis popularly referred to as the “slicer”. 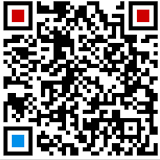 The purpose of its design is to produce high quality protein cuts. 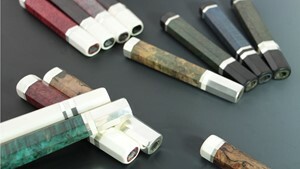 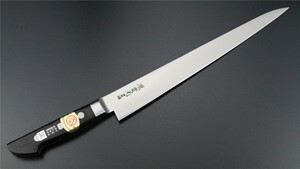 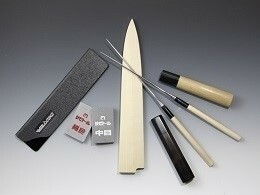 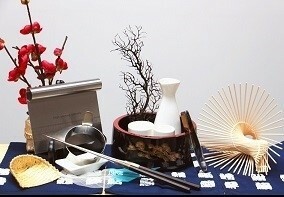 In order to do so, the Sujihiki’s blade was crafted with length and thinness in mind. 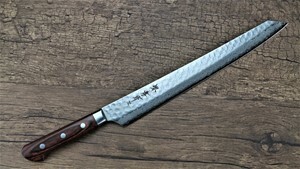 The Japanese, or Eastern, version of the Sujihiki typically has a one-beveled edge that bestows upon it the ability to make particularly smooth and precise cuts without breaking the protein. 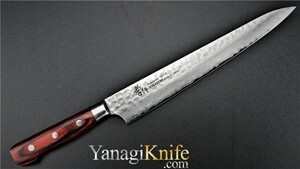 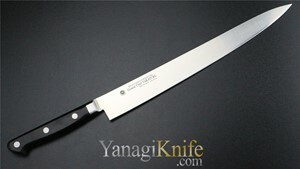 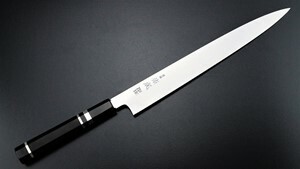 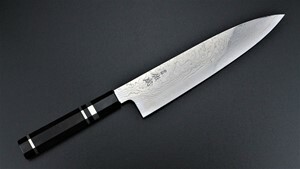 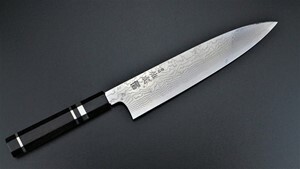 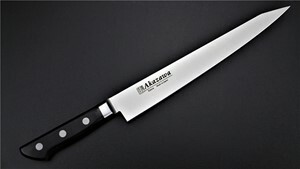 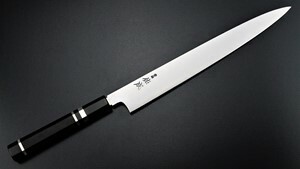 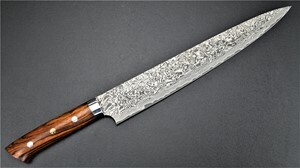 The Western version of the Sujihiki, however, is often crafted with a double beveled edge to make it easier to produce consistent cuts.